Let’s make Lawrence County Beautiful with a day of PRIDE Cleanup for your county. 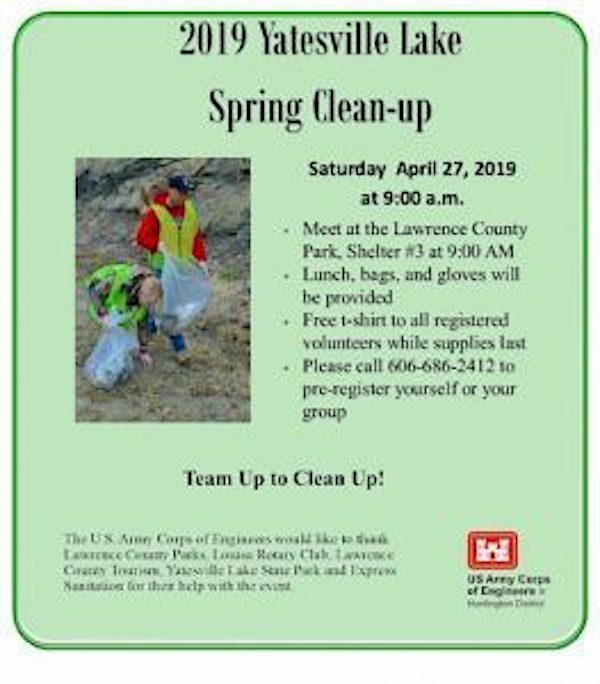 On April 27, 2019 Lawrence County has set aside this date for 3 different events to cleanup our Lakes, Highways and Homes. 2019 Yatesville Lake Spring Cleanup starts at 9 am meeting up at Park Shelter #3. Lunch, bags and gloves will be provided. 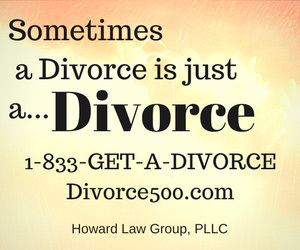 Please call 606-686-2412 to register. PRIDE Cleanup Hosted by Lawrence County Solid Waste & Recycle Center. It’s time for our annual PRIDE cleanup of Lawrence County. Come out and join us in making Lawrence County a more beautiful place by picking up trash along our highways and communities. Contact our office or the Lawrence County Judge Executive Office @ 638-4102 if you would like to participate in the cleanup this year. The Cleanup starts at 8:30 am – 9:00 am with Coffee and Doughnuts for PRIDE Volunteers. 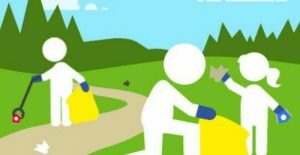 9:00 am – 12:30 pm PRIDE Litter Pick-Up. 1:00 pm – 1:30 pm is a Cookout for PRIDE Volunteers at Lawrence County Extension Office. 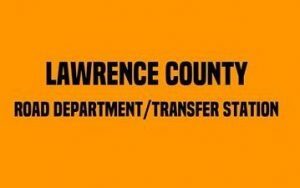 FREE GARBAGE DUMP DAY Hosted by Lawrence County Solid Waste & Recycle Center. Starts at 8:00 am – 4:00 pm at the County Garage/Transfer Station. No tires will be accepted.